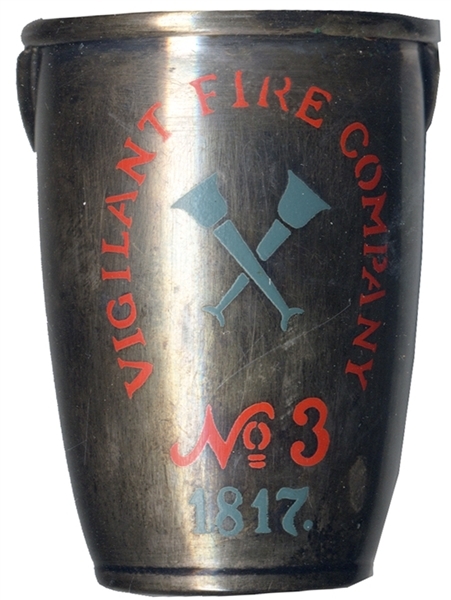 2” diameter x 3” tall, silver plated with red painted identification, “Vigilant Fire Company, No. 3., 1817”, Gorham YC3098. np., nd., c1900. (formerly Rex Stark inventory).